Overview: Although the Alentejo part of the Border Castles Tour only covers the northern half of the region, it still takes in half a dozen castles/fortresses that are all worth a trip – oh, and some of the quietest roads and loveliest scenery in Portugal. 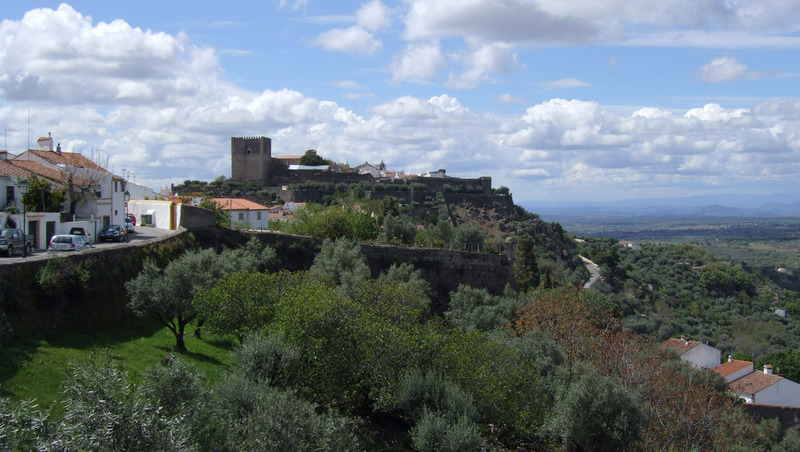 The section of the route described here starts from the ancient city of Évora, main town of the Alto (Upper) Alentejo. 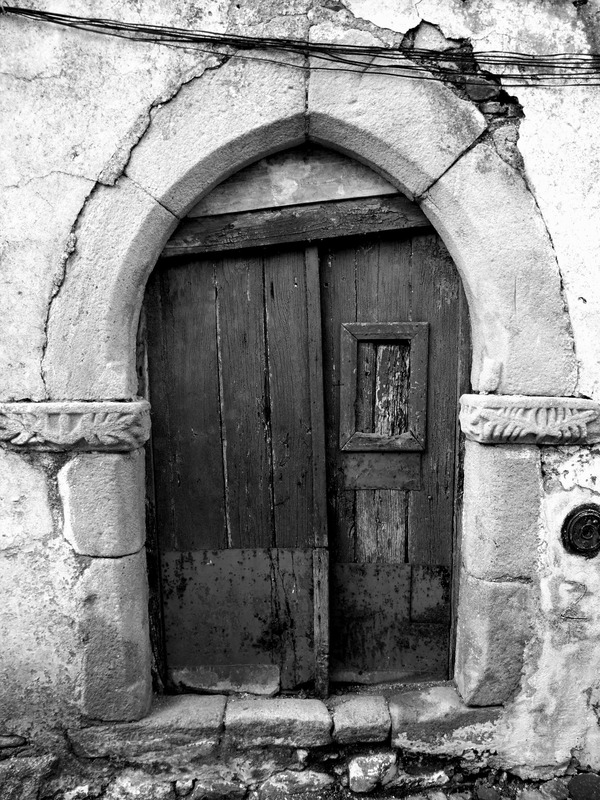 It then takes you east and north into the Beira region via a string of ancient towns – many of them boasting fortifications of one kind or another. Other places along the route provide other attractions – from the ducal palace at Vila Viçosa to Portalegre’s cork factory museum! If the castles here aren’t enough for you – or you’re looking for a longer north-south route – simply combine this route with all or part of the Alentejo Circuit to tick off more fortresses or get you closer to the Algarve. Distance & difficulty: Total distance from Évora to Castelo Branco in the Beira region is around 313km (196 miles). There are no major ranges of hills on this route and only a few big climbs – details in the description below. Traffic shouldn’t be an issue on most of this route as the majority of it is in very quiet, remote areas – in fact, in some parts you’re as likely to encounter carts pulled by mules and horses as you are to meet any HGVs. One exception in terms of traffic is likely to be the 18km stretch of the N18 between Nisa and Vila Velha de Rodão. This road can get a lot of trucks on it and is not particularly wide. However, the shortest detour that would completely avoid this road would take about 80km. One other possible problem on this route is heat in the summer months. The Alentejo can get extremely hot, particularly in July-August when temperatures of 45°C-plus are common. The other potential issue is supplies. Although you’ll never be that far from civilisation, there will be long stretches where options for buying food and drink will be limited. This isn’t Outer Mongolia but you won’t find a cafe around every corner, let alone a bike shop. Stages: Obviously you could do this ride in two or three days if you ride hard but the whole point of this tour is the fascinating places to see along the way. I’ve divided this Alentejo section into five possible stages – giving you the opportunity to stop in some extremely scenic and interesting towns. Beginning from Évora, logical stops and approximate distances would be: Estremoz (70km), Elvas (63km), Portalegre (69km), Castelo de Vide (42km) and Castelo Branco (69km). 1. Évora to Estremoz (70km): This section takes you north to Arraiolos, an attractive small town (with ruined castle) to the north of Évora. There is a cycle route on an old railway to take you part of the way – and this is being further developed. See the Cork & Carpets day ride for more information on this part. The surface on the road east from Arraiolos isn’t great but it’s very quiet. You could cut the distance – and go straight to Elvas in one day (about 89km) – if you stick to the N18 and N4. This road roughly parallels the motorway and although it gets some lorry traffic is not so busy that it’s likely to be a major issue. It’s also very scenic most of the way. One sight not to be missed is Evoramonte. 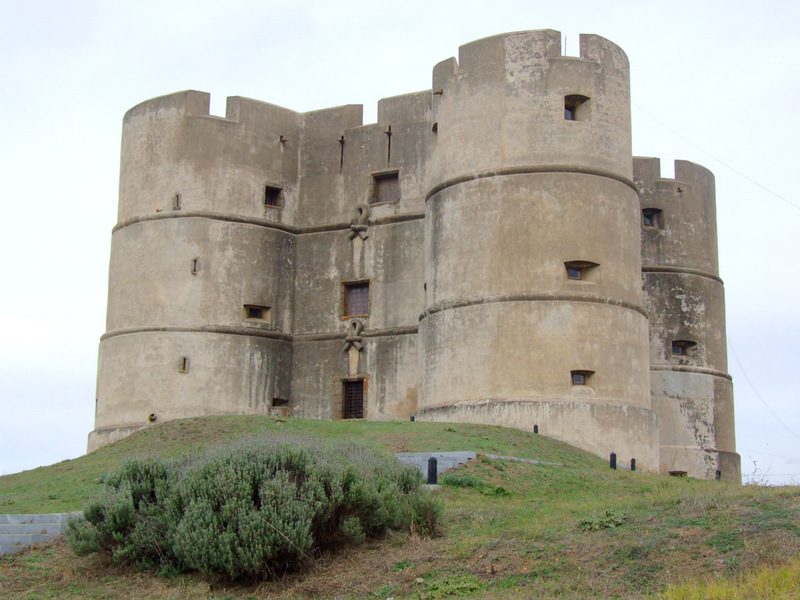 You might not want to ride up to the castle – it’s a climb of about 100m from the main road and you can see it from miles away but it’s one of the oddest-looking castles I’ve ever seen. 2. Estremoz to Elvas (63km): If you take the direct route along the N4 (which isn’t too busy) it’s only about 43km. On the main map I’ve highlighted an alternative option that goes via the historic towns of Vila Viçosa and then almost along the banks of the Rio Guadiana on the border with Spain. I must confess, I do not know this road but it looks fine on the maps – gently rolling – and it’s the way I would go. Any reports welcome! If you’re at all interested in military history – or just like dramatic fortresses – then Elvas deserves at least half a day to explore. 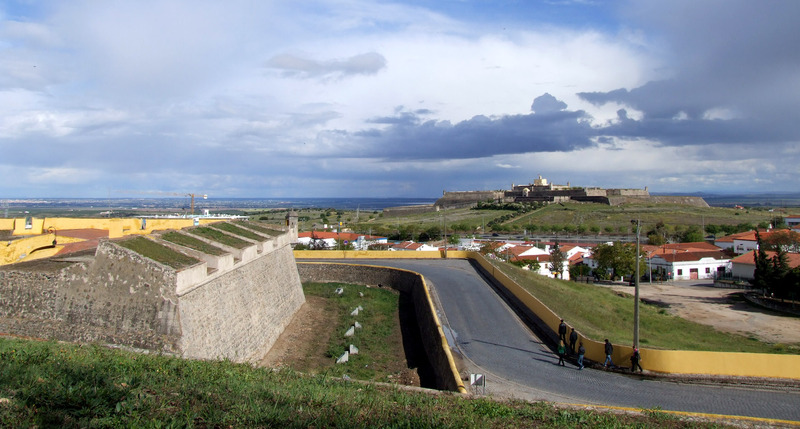 This has long been one of Portugal’s biggest forts on the border with Spain and the scene of more than a few battles. It was also the base used by Wellington before his attack on the Napoleonic army holding Badajoz just over the border with Spain. 3. 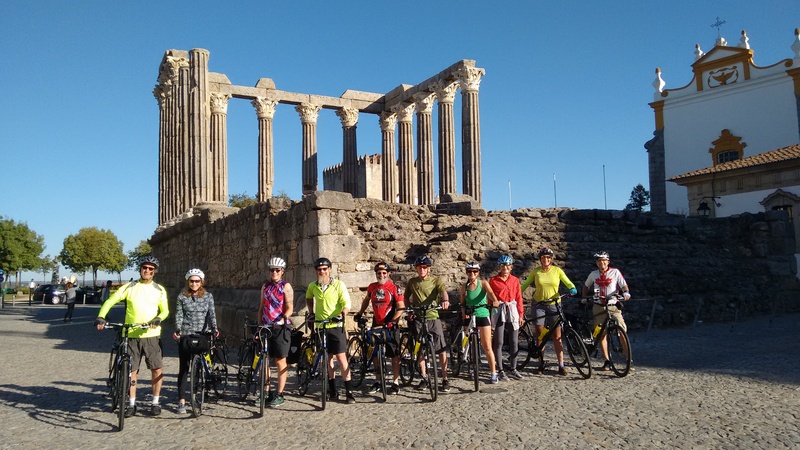 Elvas to Portalegre (69km): There are no particular sights along this section but a number of pretty small towns and some absolutely gorgeous scenery. Last time I was in this area I saw dozens of bee-eaters – which have to be one of the most colourful and attractive of all European birds. You can take the direct route from Arronches to Portalegre and save yourself about four kilometres and a few small hills or take the route shown, which skirts the edge of the Serra de São Mamede – a natural park known for its wildlife. Avoiding Campo Maior and going straight to Portalegre would cut this section to about 58km – and would probably be equally pretty. 4. 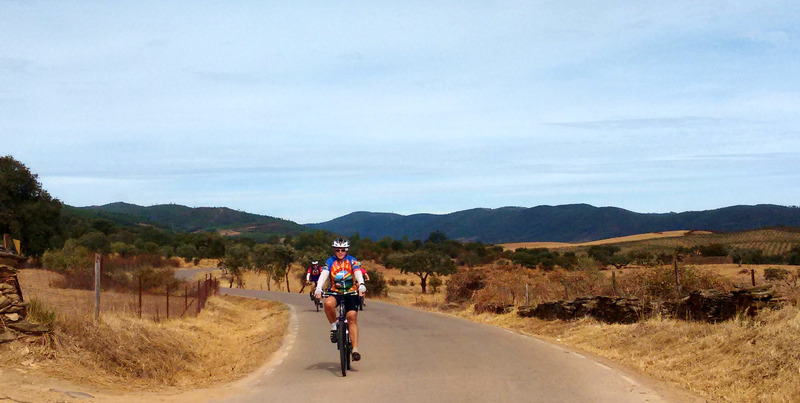 Portalegre to Castelo de Vide (42km): This is short day in terms of distance but involves the most hills on the route – and two places that are each worth at least an hour (if not considerably more) to explore. This section begins with a scenic climb over the Serra de São Mamede and then along run – on a nice smooth rural road – down to the Sever valley and then up to the village of Portagem. From there you can see Marvão – it’s the line of spectacular battlements about 300m above you! 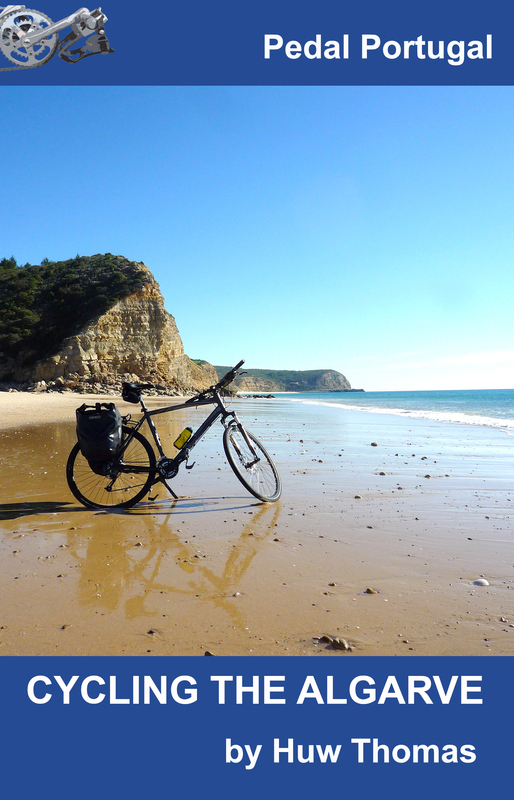 From Portagem you could then take a scenic and more gentle ride of about 7.5km along the N246-1 to Castelo de Vide. This is one of my favourite towns in Portugal and I would highly recommend taking time to wander around the old streets and going up to explore the castle. 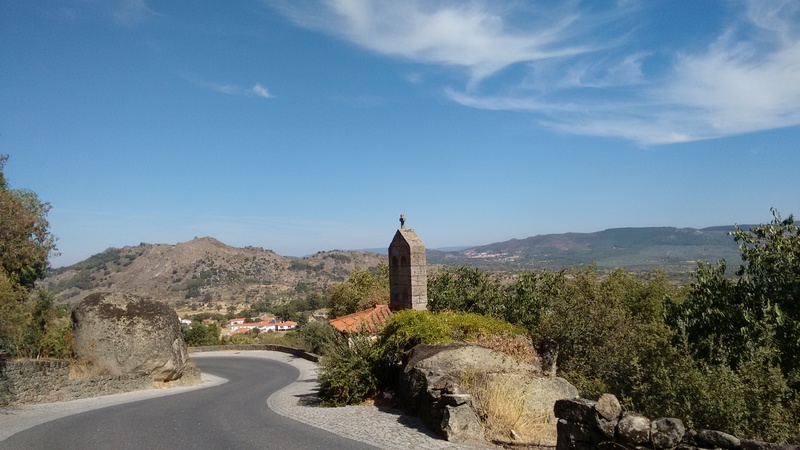 If you’re in a real hurry, you could go straight from Portalegre towards Nisa and then Castelo Branco – a ride of about 78km – but you would be missing out on two major highlights. 5. Castelo de Vide to Castelo Branco (69km): Leave Castelo de Vide on the N246 and turn right at the sign for the Barragem da Póvoa. This takes you on a quiet back road all the way to Nisa, which has no particular sights but is a pleasant small town – and the last place of any size before you cross the Tejo. After Nisa, the route gets quite a bit hillier – the N18 north also gets a lot more traffic than most of the roads you’ve got used to, including quite a high number of HGVs, so be wary. About 4-5km north of Nisa, you drop down into one river valley and climb back up again but that’s just the warm-up for the descent into the Tejo valley! The good news, however, is that once over the river there’s no big climb on the other side. There’s not a lot of interest in Vila Velha de Rodão but it does have a mini-market and a couple of eating places. The road begins to climb as you head north east. About 5km from Vila Velha, you have a choice. The more direct option – keep going on the N18. This takes you up to the N3, which parallels the motorway towards Castelo Branco. 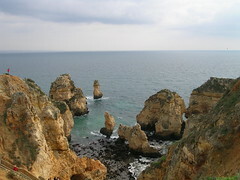 However, this is a very quiet part of Portugal and traffic is unlikely to be an issue. 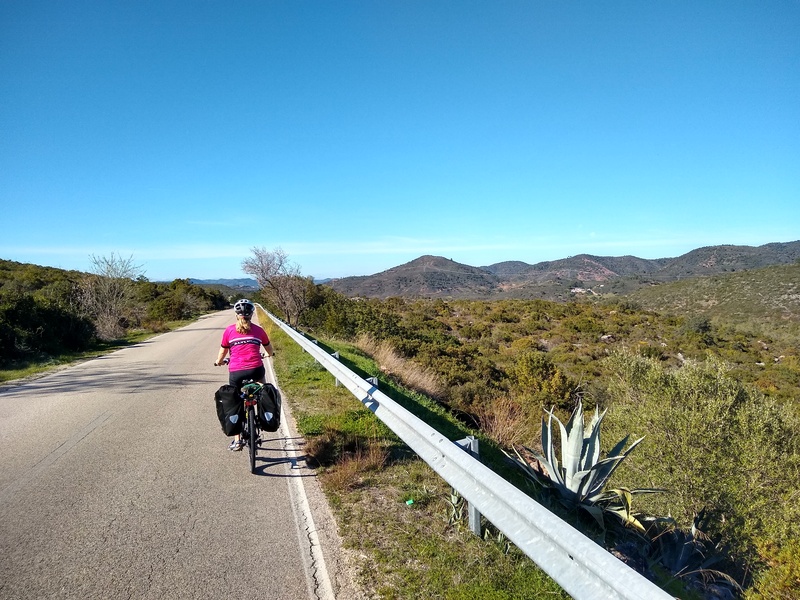 There’s not much out here except olive trees, rolling hills, a parched landscape and a couple of river crossings – and over the final 5km or so a climb of about 120m up towards Castelo Branco. Accommodation & Provisions: As mentioned elsewhere, the Alentejo is one of the least populated parts of Portugal. There will be long stretches where you won’t see any cafes or other facilities. However, the towns listed as stops should provide what you need in terms of shops, supermarkets, accommodation etc. Most days you’ll also pass through at least a couple of towns or villages where you’ll be able to find a cafe at the least – check the map to be sure.